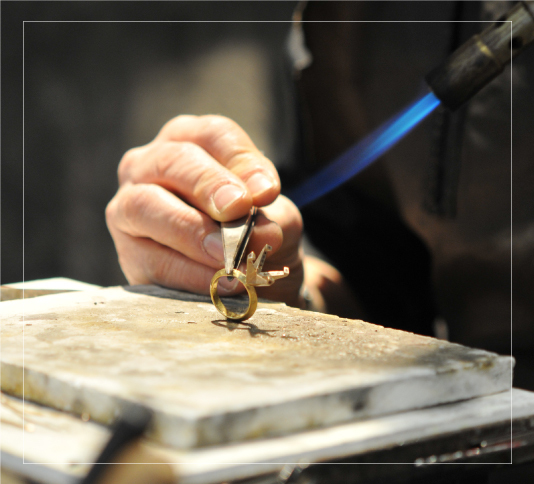 Cristiano Pierazzuoli is recognized as one of the most masterful Italian goldsmith of his time, he’s an authentic Florentine goldsmith who uses ancient and traditional goldsmith techniques. The works are an evidence of a distinct dialogue between jewellery and art. Cristiano is dedicated to working directly with his materials to enable him to capture the unique emotion of that moment in time, which is fundamental to the outcome of each work.